In this episode, The Chef's goose is cooked. As I said in the video, this gives the player an interest in getting Silent Assassin that just didn't exist prior to Elusive Target #14: The Chef. 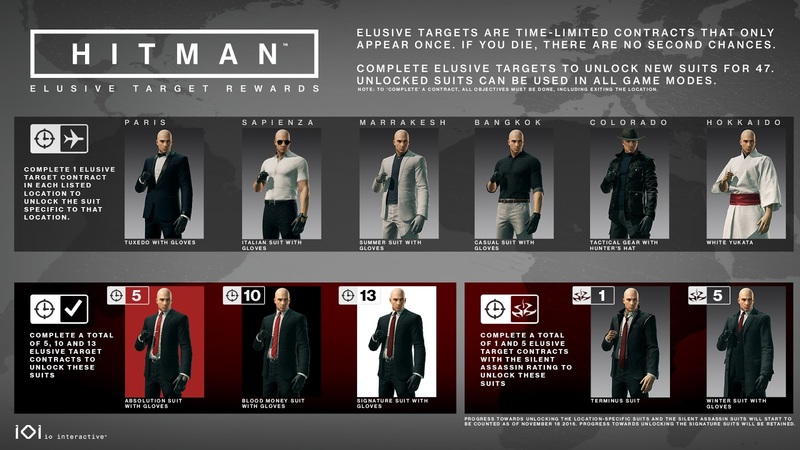 Now that there are rewards for a Silent Assassin rating, I expect players, like me, who were previously quite reckless, are much more methodical than they used to be. I didn't think about it in the video, but that really adds to the experience of the Elusive Targets. These targets are supposed to be the "ultimate Hitman experience" since players can only make a single attempt at them. Now, not only do they get a single attempt, but they have an interest in being as stealthy and incognito as possible.